Glasgow: Moving to its Own Beat. Glasgow is a place where music is not simply confined to the four walls of its venues – it is threaded through the city’s DNA. Glasgow hosts an average of 130 music events every week and music generates an estimated £75m (€88 million, US$103 million, CA$129 million, AU$134 million) to the city’s economy each year. With a scene that stretches across urban and hip-hop, electronica and indie through to classical and Celtic, Glasgow lives and breathes music 365 days a year. This vast musical offering is equalled by iconic venues of various shapes and sizes, all with their own unique atmosphere. Be wowed by a global superstar in The SSE Hydro, check out international bands on the rise at Barrowland and King Tuts (consistently voted the top live music venue in the UK) and discover the next break through act in much revered bars like Nice n Sleazy or traditional music hot spots like the Ben Nevis. Glasgow is famous for its fantastic club offering. Clubs such as Sub Club, The Berkeley Suite and SWG3 play host to world class DJs and are packed full of music fans every week. And then there’s the audiences. The people that make Glasgow gigs truly memorable. There’s a reason that bands frequently choose to start or end their tour here; our audiences rock! In 2009 Glasgow was the first city outside London to host the MOBO Awards, which were held in the city again in October 2011, 2013 and returned again in November 2016 for a fourth time. Popular music website, Tenement TV started broadcasting in 2011 from a flat in Glasgow’s West End. Since then, their sessions have reached over 4 million unique views and have been watched worldwide. Tom Walker, The Twilight Sad and Bastille are among the many talented artists who have recorded sessions. Glasgow has the highest density of higher education institutions offering courses in music, and the largest population of music students in Scotland. Among the musicians/bands hailing from the city are: Franz Ferdinand, Mogwai, Primal Scream, Texas, Travis, Teenage Fanclub, The Vaselines, Glasvegas and Belle and Sebastian, as well as more recent newcomers such as Chvrches, Twilight Sad, Twin Atlantic, Sparrow and The Workshop, Frightened Rabbit, White and Admiral Fallow. Acts like Hudson Mohawke and Rustie form part of LuckyMe, the Glasgow collective of rappers, DJs and producers. In 2019 Glasgow was selected by Hard Rock as one of only six cites around the world to host the first Battle of the Bands Mash Up Competition. "Glasgow has a more consistent track record of DJs, producers, labels and promoters than most other cities in the UK - and has managed to remain forward-thinking along with this consistency." "But fans the world over know that it's the city's unrivalled music scene that really embodies Glasgow's energy and swagger"
Since 2016, Europe's biggest country music festival brings some of the biggest stars to Glasgow for three days of the best country music has to offer. A festival of underground experimental and international music. Counterflows was founded in 2012 with an aim of providing a platform to a wide array of radical, off-stream and experimental music. A one-ticket multi-venue music festival Stag & Dagger allows the audience to ‘crawl’ from one Glasgow venue to another experiencing worldwide artists and local talent. Artists are mainly from the indie and experimental genres. Scotland’s biggest electronic music festival takes place in the grounds of the Riverside Museum on the banks of the Clyde, bringing together the biggest and best electrical artists and DJs in this unique and iconic location. The 33rd Glasgow Jazz Festival will take place citywide in June 2019. 2018 included over 50 shows and more than 250 musicians over 5 day. TRSNMT has billed worldwide artists such as Radiohead, Arctic Monkeys, Interpol and Liam Gallagher as well as giving local and lesser-known talent a platform to perform at the King Tutts stage. Its third year will firmly cement its position as a highlight in the festival calendar. In the delightful setting of the Kelvingrove Bandstand and Amphitheatre, you have the opportunity to experience some of the world’s greatest musicians. 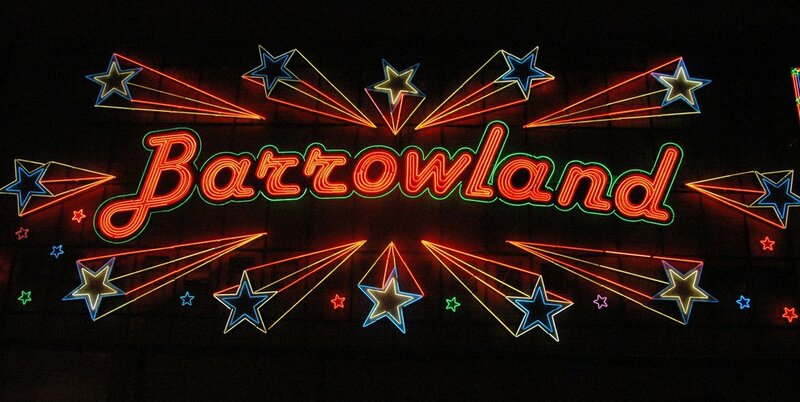 Chic, Lulu, Bryan Ferry, Fleet Foxes and many more have played this licensed outdoor venue in the West End of Glasgow. The Piping Live! Festival is an annual bagpiping event held in Glasgow by the National Piping Centre. The World Pipe Band Championships is a pipe band competition held in Glasgow Green. Two days of competition showcases the extraordinary ability of 8000 pipers and drummers. Brilliant DIY Music Festival that showcases a mix of international artists, UK bands and local groups. The bands that play may not be that well-known in the eyes of the general public but are very good and revered by music lovers.